If you are using the Desktop Connector to import QuickBooks Desktop files which sit in a hosted or server environment, issues can arise from the server not 'allowing' the Connector to run or access files in that environment. 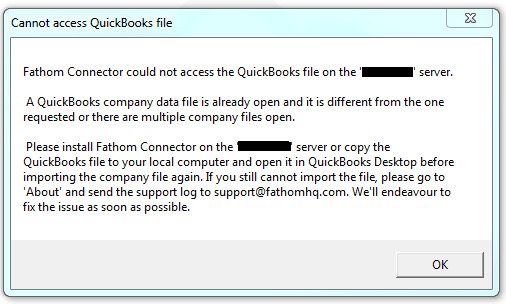 If an error message appears, saying "Fathom could not access the QuickBooks file on the 'XYZ' server" then you are likely running into this issue. Unfortunately, we cannot provide specific instructions on how to ‘allow’ the Fathom Desktop Connector in your specific environment, as these settings can vary widely across servers. 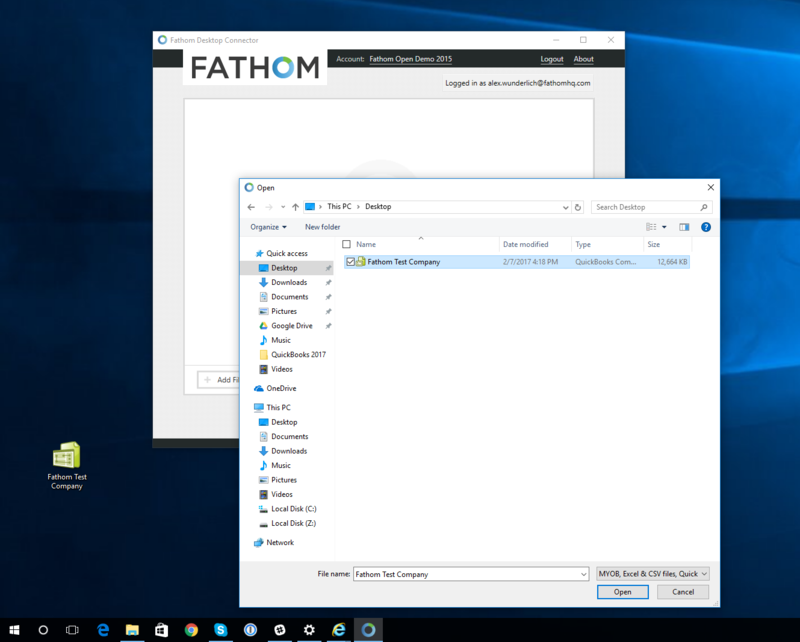 We recommend getting in touch with your network administrator to see if they are able to allow the Fathom Desktop Connector to run in your environment. The Connector uses Microsoft ClickOnce technology which is only supported in the most recent versions of Windows Terminal Server. According to a Microsoft Knowledge Base article, ClickOnce is not supported on Windows Terminal Servers including 2003, 2003 R2, 2008 & 2008 R2. However Windows Terminal Server 2012 R2 has introduced support for ClickOnce. 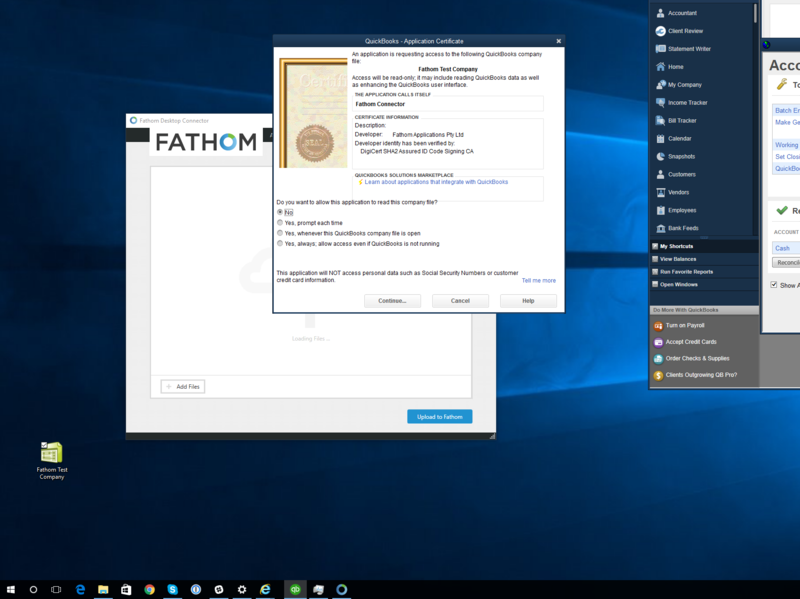 While the Fathom Desktop Connector can't be published as a RemoteApp directly, it can now be installed and run through a web browser such as Internet Explorer which itself is published as a RemoteApp. 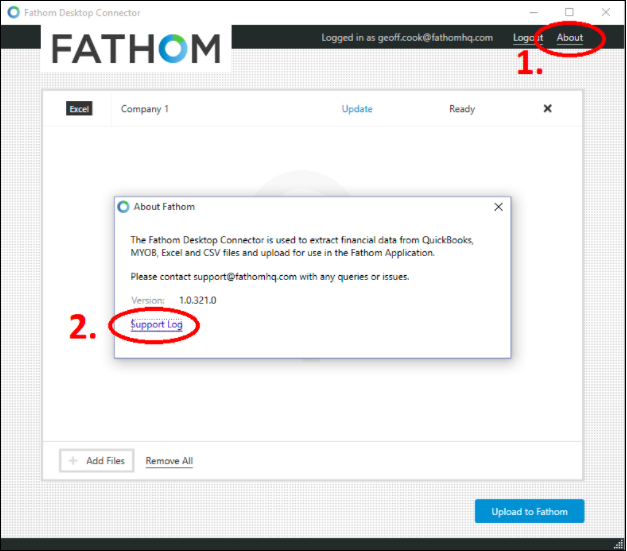 To update your QB Desktop company in Fathom (after its initial import), simply move/copy the QB Desktop file(s) you'd like to update out of the server and onto your local desktop, launch the Fathom Desktop Connector, and select each file you'd like to update. You can only do a first-time import with one company file opened at a time, but you may select up to 50 company files at one time for subsequent updates using the Desktop Connector.